4 Bedroom Semi Detached For Sale in Truro for Offers in excess of £310,000. 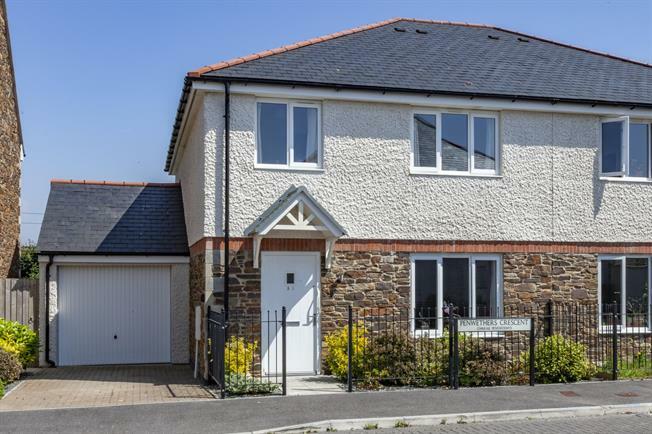 An immaculately presented and spacious four bedroom semi detached home situated on the outskirts of Truro city and completed in 2015. Comprises of entrance hall, cloak room, lounge, dining kitchen and utility to the ground floor. On the first floor there are four generous sized bedrooms, en suite to the master bedroom and family bathroom. 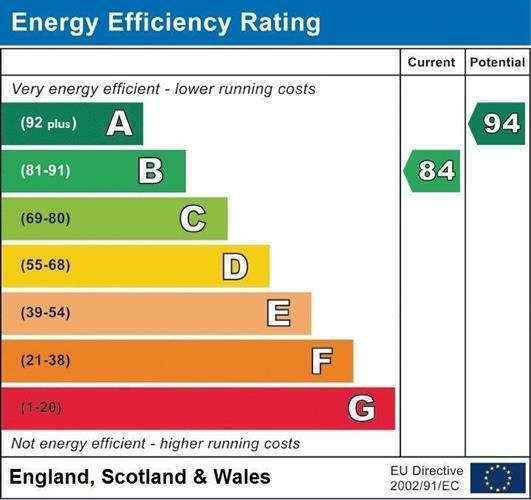 The property benefits from all the reduced running costs of a modern property, double glazing and a gas central heating system. Outside there is a driveway and garage and good sized gardens to the rear. Offered for sale with no upward chain. Double glazed entrance door, radiator, tiled floor, under stairs cupboard and stairs rising to first floor. Pedestal wash hand basin, low level WC, extractor fan, radiator, tiled floor and part tiled walls. A light and airy room with feature fire place with coal effect electric fire, radiator and double glazed window to front. A really good sized room for entertaining and a family with a range of wall and base units with work surfaces over, matching uprights and a peninsular work surface with storage beneath and breakfast bar. One and a quarter bowl single drainer sink with dual spout and pull out spray mixer tap, electric eye level double oven and five ring gas hob with extractor hood over. Space for freestanding fridge/freezer, built in dishwasher, tiled floor, concealed wall mounted gas central heating boiler, double glazed window overlooking the rear garden and double glazed French doors opening into the rear garden. With a range of wall and base unit with work surfaces over, single sink with mixer tap, built in combined automatic washing machine/tumble dryer and tiled floor. Tiled double shower cubicle, pedestal wash hand basin, low level WC, heated towel rail and extractor fan. Double glazed window to rear, radiator and built in wardrobes. Three piece suite comprising of panelled bath with shower attachment, pedestal wash hand basin and low level WC. Part tiled walls, heated towel rail and extractor. To the front of the property is a block paved driveway providing off street parking and in turn leading to a garage with electronic remote controlled up and over door, light, eaves storage and power supply. To the rear of the property there is a good sized fenced garden which is mainly laid to lawn with flower borders containing a variety of plants and shrubs, a paved patio area, outside tap and security lighting.